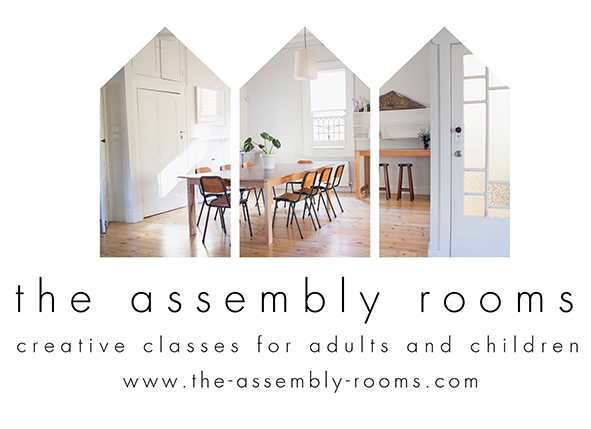 Running for two years The Assembly Rooms offered creative classes for adults and children as well as special workshops and short courses. The courses were taught by practicing artists and makers who shared their knowledge and abilities in classes developed to fit the age and skill level of the student. Co founded by Madeleine Griffith and Olivia Hamilton. Madeleine directed and ran all aspects of the school. An archive can be found here.